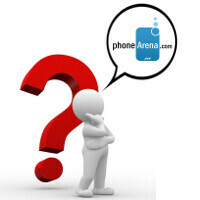 PhoneArena Knows Best is back with a new set of interesting questions to answer! Our pilot question this time has a lot to do with what rooting is and what should we know about it. If you are interesting in tinkering with your phone's software, but feel somewhat unsure about it, now is your chance to get the basic info you need. Of course, we've also solved a number of other mobile-related mysteries in this edition of PhoneArena Knows Best! What's rooting and what do I need to know about it? I really need to understand what is rooting and what dis/advantages it provides. I'm kinda a newbie to Android since I moved to Galaxy S 2 recently from my Nokia N8. I was thinking of exploring new custom ROMS which seem to bring more functions and options to the interface. I was particularly looking at Cyanogenmod Rom for my S2 i777. I'm conceerned about losing all my data if I root. Please share a safe and esay way to do it and suggest some nice ROMs for that at&t SGS2. Hi, Viswanath! Congratulations for getting the Galaxy S II, great choice! Basically, rooting an Android phone allows you to have administrative access to everything in it. When you root an Android phone, you get access to system files and all kinds of permissions. The most valuable thing to rooting a phone is the ability to install custom ROMs like CyanogenMod. If you really want to install a custom ROM on your Galaxy S II, we can recommend the CyanogenMod ROM, but keep in mind this will void your warranty. Here's a very detailed guide explaining everything you need to know about rooting and installing CyanogenMod on your AT&T Galaxy S II. It'll also point you to what actions you need to undertake in order to back up all of your information safely. In any case, we'd advise you to be very careful when attempting to root or install a new ROM on your phone, especially when you aren't completely sure about what you're doing. Should I get the iPhone 4S or Galaxy Nexus, or wait for the Galaxy S III or iPhone 5? galaxy s3 or iphone 5 to launch..
nice move phonearena .. .
Hi, Jagdeep! It really depends on how badly you need a new smartphone. If you're fine with your current one and can wait, it's always a good idea to wait for the new models to come out. However, if waiting is not an option, we think it's perfectly OK if you purchase any of the handsets you've mentioned. The iPhone 4S and Galaxy Nexus, or even the Galaxy S II are still very powerful and adequate offerings that will get every job done with ease. Now, which platform to choose between iOS and Android is up to your preferences and taste. But here is a comparison article that might make your decision easier: iPhone 4S vs Galaxy Nexus. Thanks for setting up "Phone Arena Knows Best" and helping your readers out! Great idea. My question is this: I am weighing the pros and cons of getting a carrier unlocked phone versus a unbranded factory unlocked phone. For example Negri sells phones that were locked to T-Mobile that they then unlock (carrier unlocked) versus phones that are unbranded to a carrier and came from the factory unlocked. I know that with carrier unlocked phones, software updates are fairly straightforward as they come from the carrier. However, I am wondering how unbranded factory unlocked phones receive their updates. Do the updates come automatically or does one have to be proactively in seeking out updates? I ask this question because I am interested in the new HTC One X or S and I know that AT&T and T-Mobile will carry them. But some online vendors also sell unbranded international versions. Apart form software updates, if you have any other thoughts about the pros and cons of buying carrier unlocked versus factory unlocked, please let me know. Hey, Steve! Whether and when you'll get a software update for your phone depends on a number of factors, not just whether your handset is carrier-unlocked or neverlocked (factory-unlocked). There really isn't a rule for that. With some devices, getting the update with a factory-unlocked handset might be faster than with a carrier-unlocked, but the opposite isn't out of the question as well. In most cases, however, you should have the ability to update your device if it's factory-unlocked, because the "carrier factor" will not be involved then. Updates should come automatically, but it's not 100% guaranteed. Plus, you might be able to get the new software faster if you attempt to manually search for and install the update. Is it OK to buy a dual-core tablet, or should I aim for a quad-core one? Tevin Wilson: Hey Phonearena, I'm a regular reader of the website and I was wondering which tablet I should get. I know I absolutely DO NOT want an iPad, because i already have an iPod touch and i'm all too familiar with the experience. I also know that I do want an android tablet and the screen has to be 10 inches. What i'm really asking is, what tablet has the best performance for my money. Would I be okay with a last-gen tablet, or should I pony up for this year's quad-core beasts? Hi, Tevin! Unfortunately, you didn't tell us how much money you've prepared for a new tablet purchase, so we can't recommend the best one your money. But, the good news is that we think a current/last-gen tablet will be perfectly suitable for you. There won't be so much of a real-world benefit from a quad-core tablet for at least another year. That said, it's worth investing in a high-end dual-core tablet, as this will guarantee that you have the horsepower needed to run just about every piece of software right now. Before Windows 95, it was common for users to edit their autoexec.bat file in the MS DOS environment. I remember memory was tricky since the x86 processors like 386 and 486 had memory limitations. Quaterdeck was a really good program back then for memory management. I can see why "rooting" is so special given a generation of computer users never had to edit their autoexec.bat file. i spent a lot of time in autoexec.bat. constantly messing up DOS and also windows is what made me so good at fixing it! lol I still use my DOS5 book as a chairlift. aah memories. i like this phonearena knows best. Keep up the good work. this reminds me of ask the buffalo by technobuffalo. it's unique cause it's actually written and not in a video kind of way though. i just have a suggestion though, i wish you had a specific schedule and other means of asking other than email. good stuff, i do have something to add though. Never blindly recommend a ROM because you are familiar with the name. If you are personally familiar with that rom version on the SGS2, then its all good, but even cyanogenmod is not the same on every phone. It really depends on the phone and who is working on it. many Kanged ROMS are made off of cyanogen without credit though (kanged is a fun word for stolen parts basically). Best thing to do is go directly to the websitewww.cyanogenmod.com, or to forum.xda-developers.com and read. XDA is the largest development community. There you will find dozens to hundreds of roms to choose from. My advice is to start with threads that have a high post count and actually read about the problems other users are having before jumping in. Many roms have bugs to work out. The more developed roms (higher post counts) generally have much less problems or no problems. read a lot before you touch your phone. Every model unlocks differently and many have different steps to rooting. Make sure you are 100% comfortable with the root and rom procedure before you do anything. One false move could mean a permanent brick.. aka your phone is a door stop. Both XDA and Cyanogen have root wiki's and bibles that detail the procedure step by step.. find them. That said, samsung is among the easiest to root and the SGS2 and its variants have among the most active mod communities, so you should find lots of help. Also, if you like to root, make sure you stick with the popular phones unless you yourself like to make ROMS for it. And congrats on the SGS2, its an awesome phone. you need to decide if you should root or not. you should do the research and follow what ive already written before you decide. as far as the benefits, they include: -newer versions of the OS, like 4.0.3 ICS months before official release -streamlined and power increases -better battery (or worse depending on the rom) -the ability to back up your phone and all the apps and data incase the worst happens -skirting paying for tethering.. at your own risk of course. - a whole world of mods and tweaks to really make the phone anything you want. from simply adding a feature to changing out icon looks, to changing around the entire phone. Thnx for the info remix.. And thank you PhoneArena for answering my mail, and making my question the title of this thread :) I'm sure it'll help everyone. Rooting is a process wherein the end result allows the end-user the ability and freedom to install 3rd-party applications not approved or authorized by either the manufacturer, carrier or operating system. Rooting also allows the end-user the ability to personaliZe and customiZe their phone; something one would think is the buyer's right. I personally never root any of my phones but, I understand it comes in handy if you ever need to 'breAk' out of 'jAil'. oh snap! I had a post about Root I was planing on using to apply for PA, are there still opened position? Droid Theory on CDMA-LTE DROID RAZR is awesome....gotta use safestrap, though. Hello remixfa you ARe really a rooting expert Superoneclick or Odin is better ? superoneclick is how to gain root. Odin is the best way of flashing roms, or especially flashing back to stock when you break something... which is its main use. Of course you can easily flash most things through clockwork mod as well. On a samsung phone, if you bork your phone during the ODIN process, you can buy some parts that will revive your phone back to download mode....check out XDA for that. Love the captivate on FUSION ICS 4.0.3. Actually, when you bork your phone with ODIN, with a captivate, you are sort of screwed, but at XDA, there is aposter who can advise on the fix. Costs around 2.00 at radio shack or amazon, and I have used the method 3 times now to bring my cappy back from the dead. really? on the vibrant there is a trick that will always force it into download mode, where you can ODIN it right back to stock. it takes a miracle (or a sledge hammer) to completely kill it. I figured it would have been pretty much the same since they are both SGS1s. Interesting.